TEN YEARS OF IGNORANCE – TEN YEARS OF GRUMO! 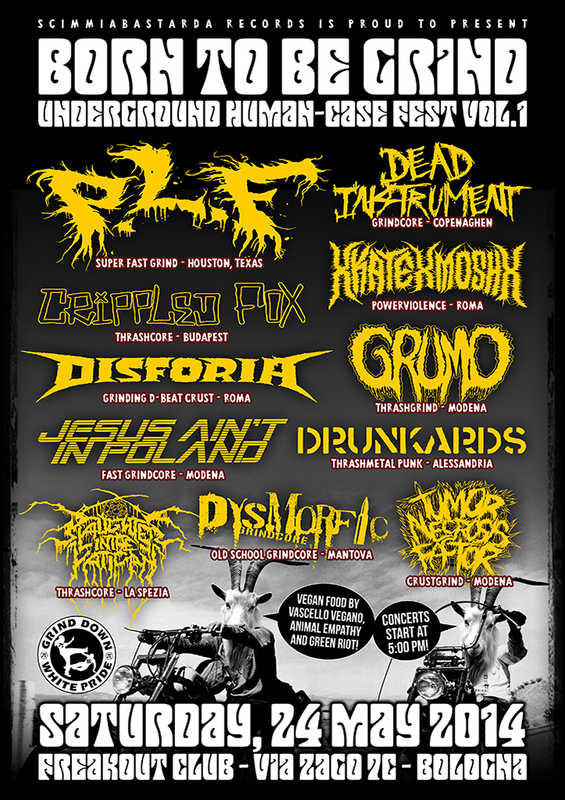 For our 10th anniversary, ScimmiaBastarda Records presents: BORN TO BE GRIND FEST Vol 1! Eleven bands, eight from almost all Italian + three important foreign guests (United States, Denmark, Hungary), great beer, vegan food, metal/punk underground distros and almost 8 hours of extreme music, from grindcore to thrashcore… an event dedicated to underground noise! Leave at home all the antipathy, bring back the earplugs. OUT NOW! OFFICIAL METH DRINKER REPRESS!!! 2 Minuta Dreka / Extreme Smoke 57 split ep out now!